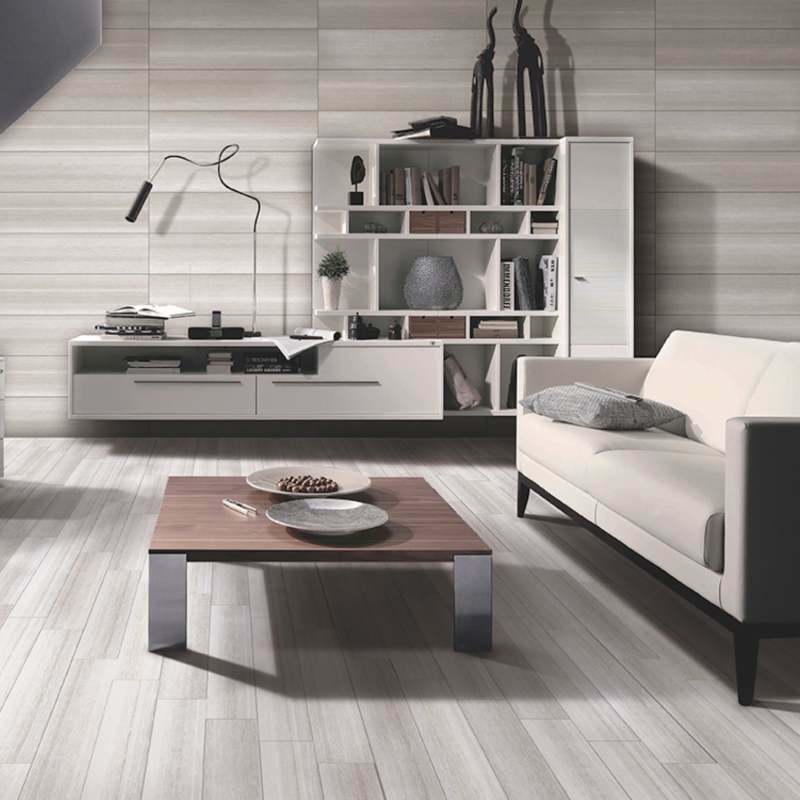 Are you debating between porcelain tile and ceramic tile for your next flooring project? Let’s dive right into to some of the benefits of each—and which tile may be more suitable for your project! 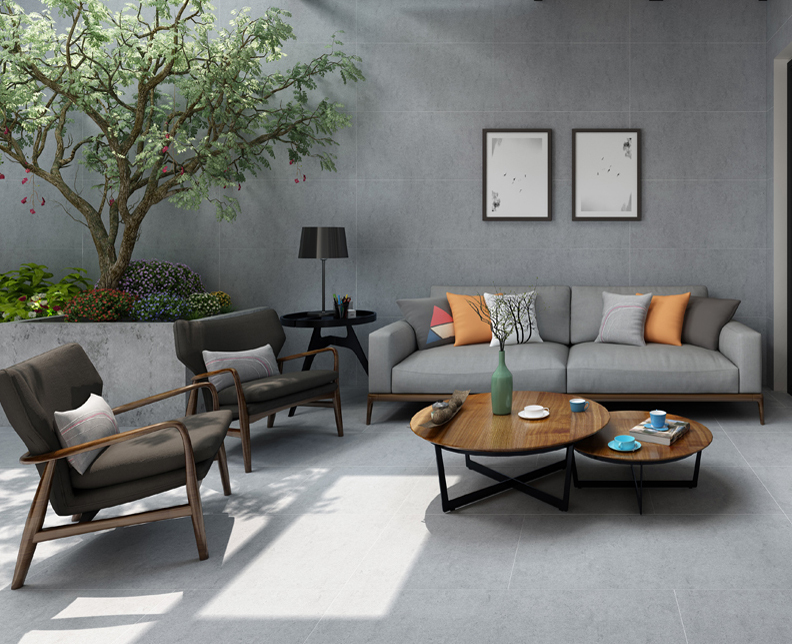 First, with the advent of new technology, realistic colors and patterns are recreated beautifully in both porcelain tile and ceramic tile from MSI. Second, in heavy traffic areas like entryways, kitchens, family rooms, mud rooms and hallways, both glazed ceramic tile and glazed porcelain tile will perform similarly. At this point, you might be wondering, What is the difference between glazed tile and unglazed tile? Glad you asked! Glazed tile is fired twice, and in the second firing, it is given a highly protective coating that makes it repel moisture and water better than an unglazed tile. 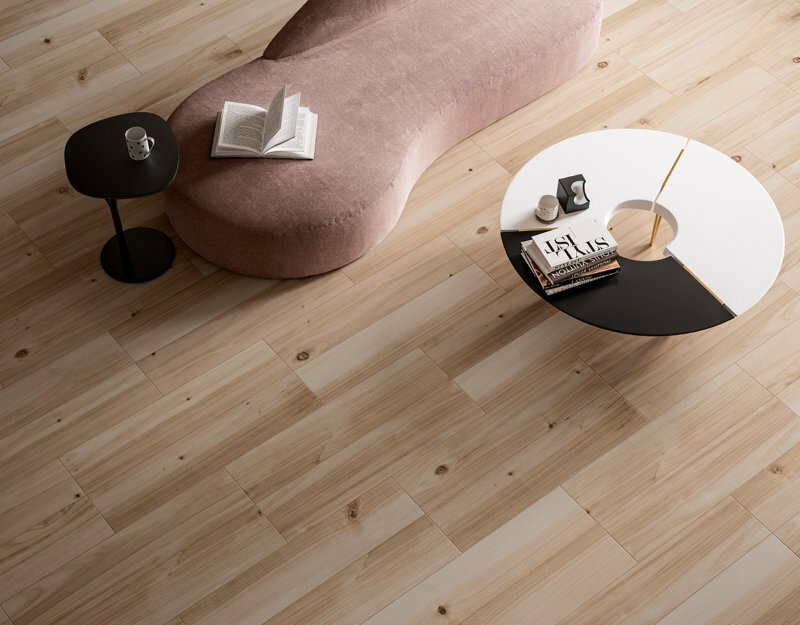 If you are assuming that all glazed tiles have a shiny and reflective finish, let us dispel that myth; in fact, you can also get that modern matte-finished look in a glazed tile like our Turin Bianco Wood Look Tile. This is a ceramic tile that will hold up well to high traffic areas and moisture. You can feel confident installing this gorgeous wood-look tile in front of patio doors leading to the pool, in bathrooms or laundry rooms, or in busy communal spaces like your den. Third, if you want tile flooring with a textured rather than smooth finish, you’ll want to opt for porcelain flooring tile. 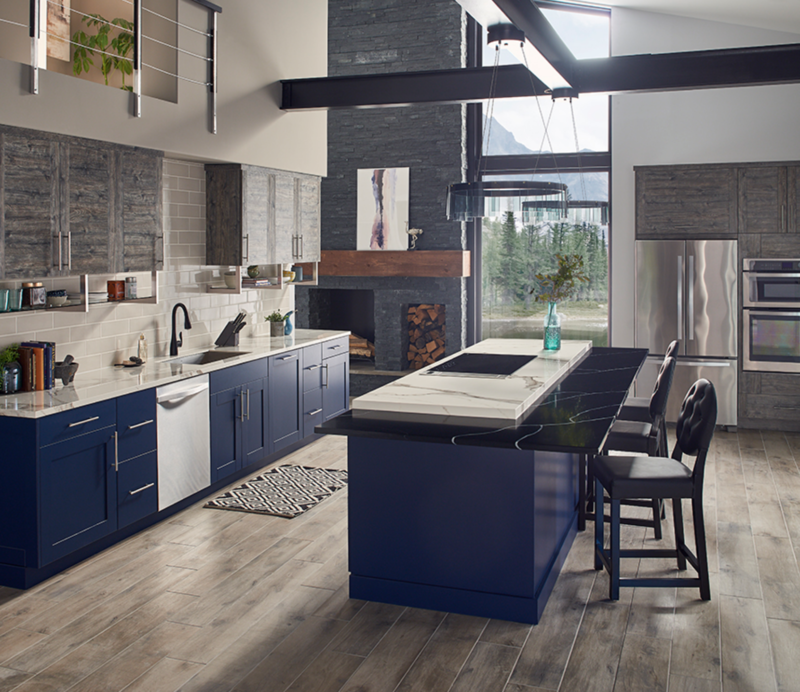 In this contemporary kitchen, which is ripe with character, Country River Stone Wood Look Tile adds a perfect textural element. And like the ceramic tile above, this porcelain tile is also glazed with a matte finish, making it ideal for kitchens and other areas that tend to be exposed to dampness or spills. This beautiful tile cleans up easily; simply sweep up any dust and dirt before mopping, and do your best to wipe up spills before they dry. Next, let’s chat for a minute about installation. If your next tile flooring project is going to be DIY, you might want to lean towards ceramic tile, as it is generally considered easier to lay for first-time tile setters. Be sure to read the product brochure and installation guides thoroughly before you begin to make sure you have the necessary tools and choose the right grout and mortar for your project. Finally, both of these types of tiles will perform well in your home—that’s because they are engineered to last. That said, if you live in a damp climate, have dogs or kids running in and out with muddy feet, a glazed tile is likely better suited for your project. And remember, accidents do happen, but if you crack or break a tile, a professional installer will know how to remove the tile and replace it without damaging neighboring tiles. In all honesty, when it comes down to porcelain tile vs. ceramic tile in high traffic areas, the key really comes down to choosing the tile you love that complements your lifestyle and style aesthetic. Which Porcelain Tiles Are Water Resistant? 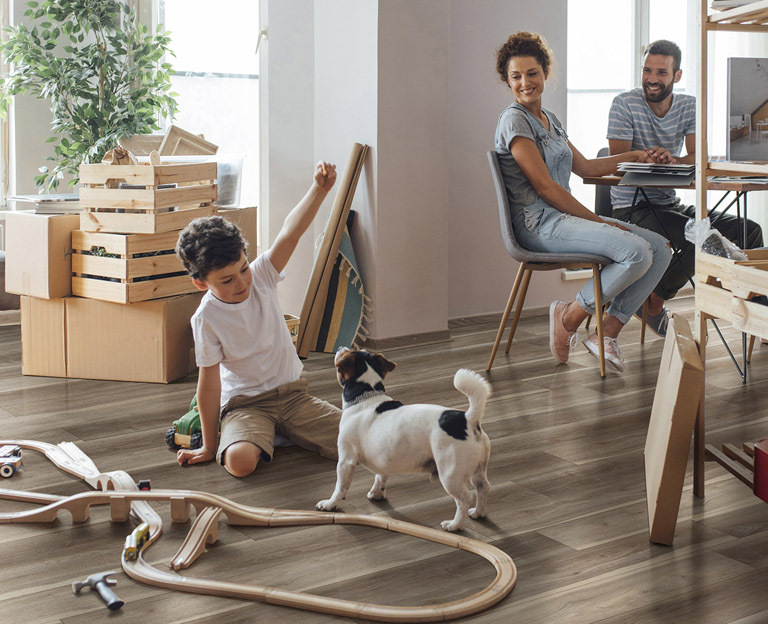 Is It Necessary to Level the Floor Before Installing LVT Flooring? What Makes Luxury Vinyl Tile the Better Choice? Does LVT Flooring go well With A Granite Countertop? 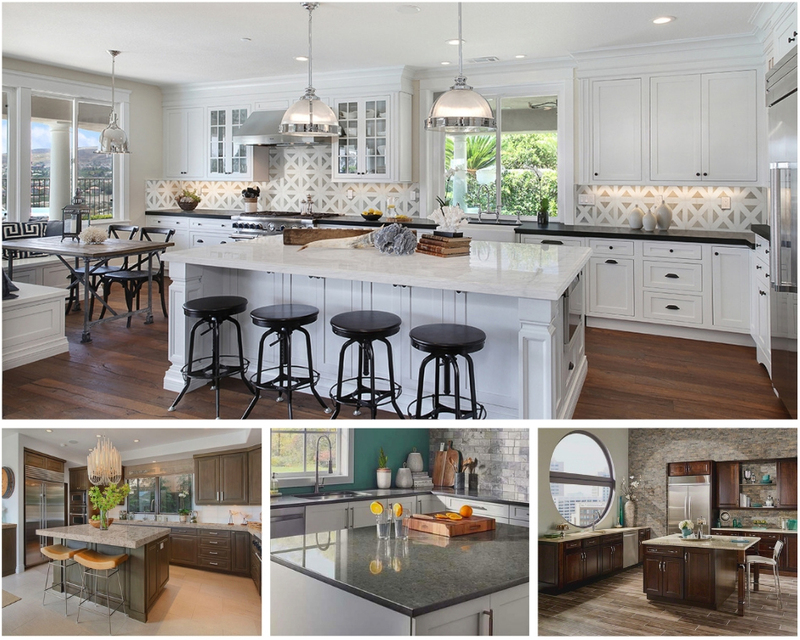 How Do Quartz Countertops Compare to Calacatta Marble? Is a Backsplash Just For Looks?